InMotion Entertainment Group originally appeared in 2011, where they entered at number 90. Currently, they are 62 on the list, climbing 9 spots from last year’s list. The Consumer Electronics industry overall saw a nominal increase from 2014 to 2015, while InMotion Entertainment Group experienced a 17.5% increase in sales activity. Thisn strong growth is attributed to InMotion Entertainment Group’s superior product brand selection, in-store experiences, consumer loyalty, high-traffic market presence and 24 additional store openings in key markets. Dealerscope researched large electronics retailers throughout North America as well as manufacturers selling direct to consumers to develop the Top 101 registry. 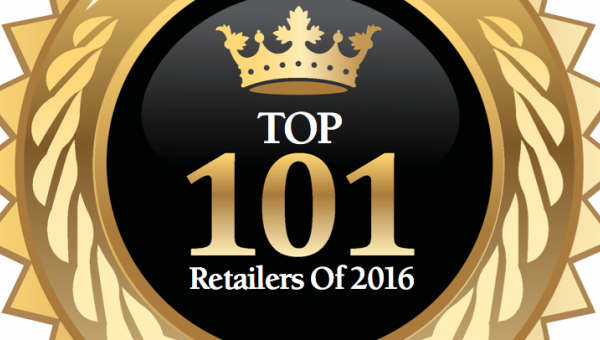 The full list is published in Dealerscope’s April 2016 issue; http://www.dealerscope.com/article/dealerscope-top-101-ce-retailers-2016/.